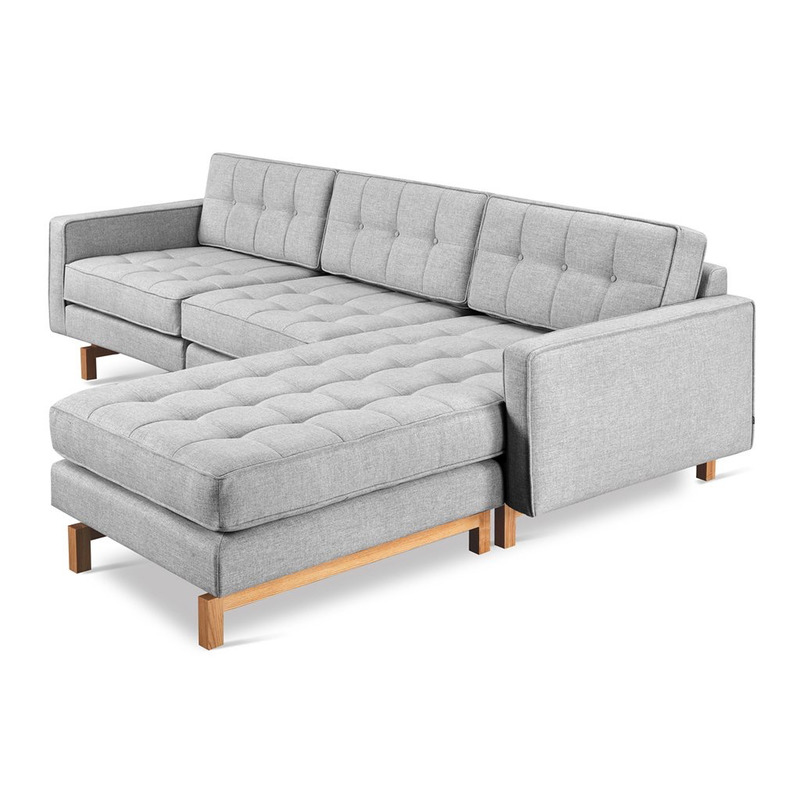 W104 D71 H31 | SEAT H17.5 in A modern update to the classic Gus* Modern Jane Series, the Jane 2 Bi-Sectional retains the iconic, mid-century look while adding contemporary enhancements. It has been cleverly designed so that it can be configured with the chaise on the left OR the right, depending on your floorplan. If your needs change, simply move the chaise and readjust the cushions to convert the design. Piped upholstery edges and button-tufted cushions create photogenic surface details that are enhanced by Jane 2’s new, more refined proportions. A new wood base (available in light or dark wood finish) is inset on each piece, creating a sense of weightlessness that maximizes light and space. The frames are constructed with kiln-dried 100% FSC®-Certified hardwood in support of responsible forest management. 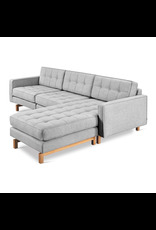 Jane 2 Bi-Sectional chaise can be configured on either Left or Right side. Seat and back cushions are button tufted and have piped edge detailing. Reversible seat and back cushions are crafted with high resilience polyurethane foam covered in a Dacron® wrap. Inset solid Ash wood base with walnut or natural finish features non-marking feet. Inner frame is 100% kiln-dried FSC®-Certified hardwood. All joints have been stress tested. 9-gauge No-Sag, sinuous spring suspension system. Manufactured to meet California TB117-2013 fire safety standards without the use of flame retardant additives in the upholstery foam.